We hope everyone had a good holiday break and winter isn't getting you down too much. Spring is just around the corner so it's time to start planning your dream BC fishing holiday! Our Fraser River multi day packages are already selling and we only have limites space. Many of our European guests plan way ahead for prime dates. 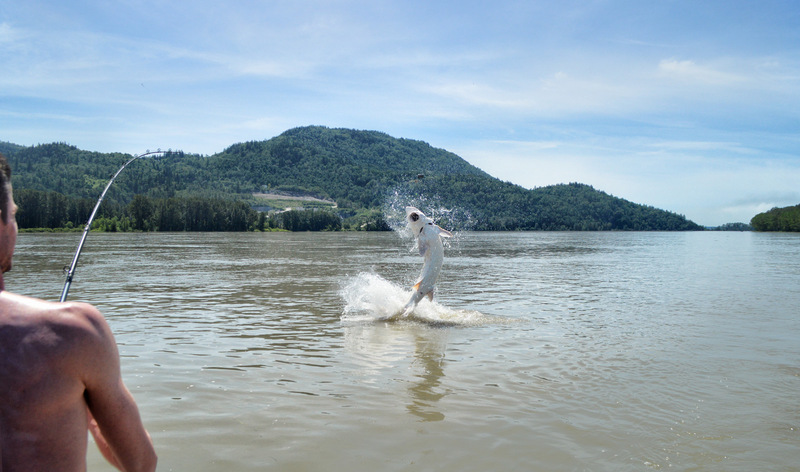 Sturgeon fishing is the big ticket item on the Fraser river. Each day on the water with our guides puts you in the action! Our team is so experienced it's not even fair for the fish. This is a 100% success game for our guides. Our biggest fish of 2018 was 800 lbs and 300 + lbs were caught many times from April to November. You can expect fish over 100 lbs on a regular basis. Salmon fishing will run from July 10 to November 7. Pinks, Coho, Chinook and Chum are what's available this year. *** Please email us and we'll send you our prices brochure.